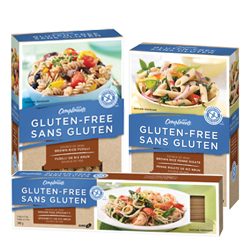 We’re proud of our expanding selection of Compliments Gluten-Free products—all certified by the Gluten-Free Certification Program. 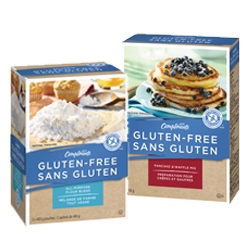 Look for the Canadian Celiac Association-endorsed GFCP trademark on the package, indicating these products meet the GFCP’s strict requirements to ensure they are free of gluten. We think gluten-free foods have never tasted better. But don’t just take our word for it. These products were taste-tested by a panel of customers with celiac disease, who were wowed by the superb flavours and textures. Now it’s time for you to give them a try. With Farmhouse Loaves or Sandwich Rolls, you’ll regain the joy of the basic lunchtime sandwich. Think it’s impossible to find tasty gluten-free baked goods? Bite into our tangy Cranberry Lemon Muffins to rediscover your favourite packable snack. And that’s just the beginning: You’ll also want to check out our gluten-free pastas, flour and easy-prep baking mixes. Plus, browse our range of simple recipes to get started on the road to gluten-free happiness. 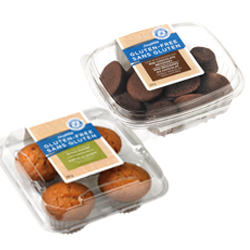 Create gloriously gluten-free treats with our deliciously easy mixes. 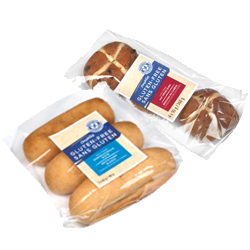 Or bake from scratch with our All-Purpose Gluten-Free Flour Blend. We make our Gluten-Free Sweets and Baked Goods so tasty, even people who eat gluten will enjoy them. We’ve got delicious penne, spaghetti and fusilli – all made with wholesome brown rice and developed to cook easily and work with any sauce or application. Our rolls were cleverly adapted from a sourdough recipe to be soft, crusty and just as tasty as their gluten-containing counterparts. Attention sandwich lovers: Have the works – hold the gluten. 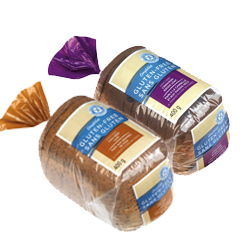 Our loaves are everything you want in a sandwich, plus they’re low in fat and very high in fibre.